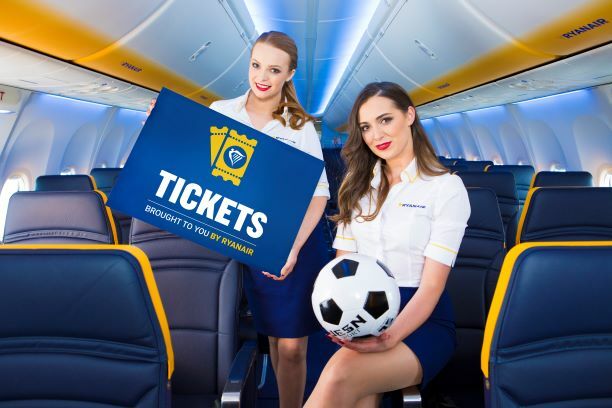 Ryanair, Europe’s No.1 airline, today (13 Dec) expanded its Ryanair Tickets service to include football tickets for Spanish La Liga and Ligue 1 in France. In partnership with Coras, Ryanair Tickets offers the best theatre and tourist attractions across 19 European countries on the Ryanair.com website, for the lowest prices, and Ryanair customers can now purchase tickets for some of the biggest football matches, both directly via Ryanair Tickets (https://tickets.ryanair.com/) and through the Active Trip page, matching the date and destination of their booked trip. Tickets are now available for La Liga games featuring, Atlético Madrid, Espanyol and Málaga, as well as Toulouse FC in France’s Ligue 1. More football and rugby matches will be available over the coming weeks and customers can purchase tickets for all events in 10 languages and 8 currencies (Euro, Sterling, Dirham, Dollar, Norwegian Krone, Krona, Danish Krone and Złoty) with more currencies and offers to follow.